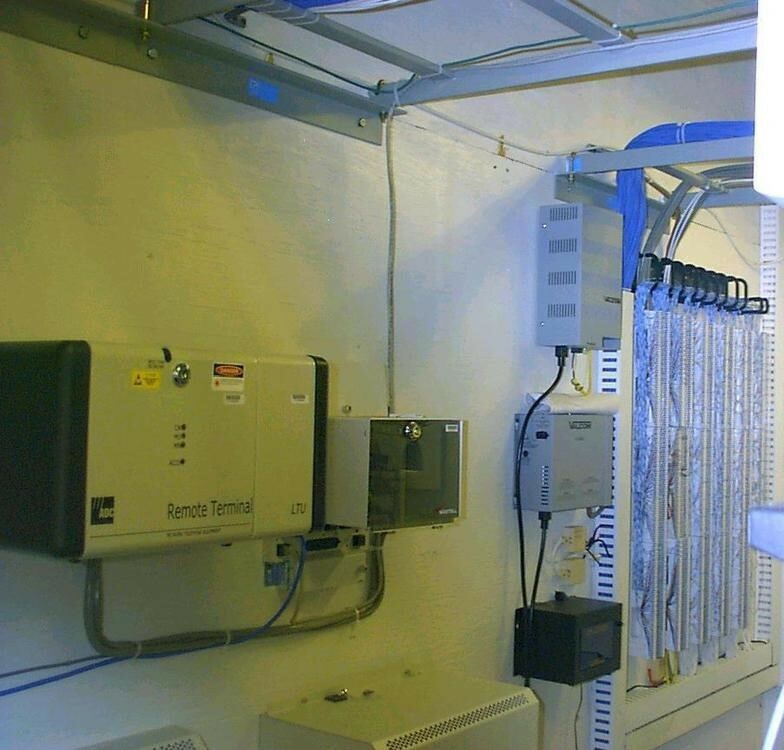 A typical Novacom data/telephone room site. Left, is the Remote Terminal dedicated T-1 lines, center is the Valcom loud speaker, paging system that covers paging for over a premises of 30,000 sf with six paging zones. There are ninety phones, and more than one hundred computers. Novacom installed a fire/burglar detection system. Integrated system deployment by Novacom starts with the organized data room or closet. 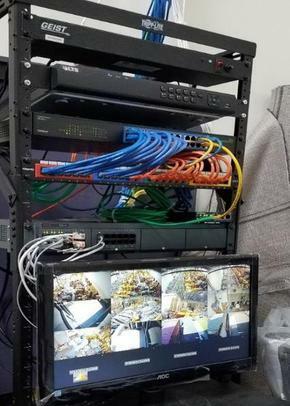 The area needs to have all connections secure. Not fully connected wires cause interruption in performance, To facilitate service, all connections must be viewable from the front and rear.